In the Piazza della Signoria. 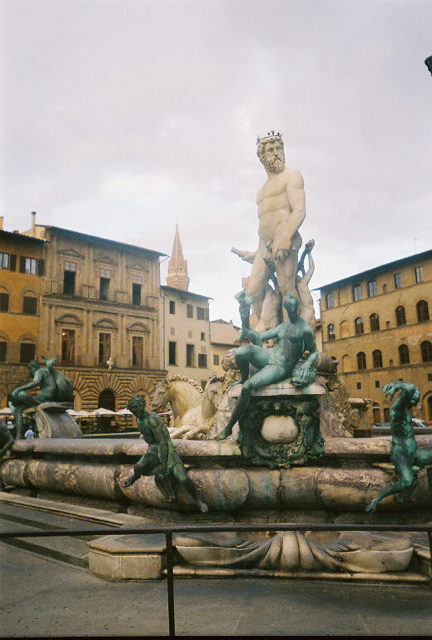 This is the Fontana di Nettuno (Fountain of Neptune). The Roman sea god is surrounded by water nymphs. Quite impressive. (circa 1575).